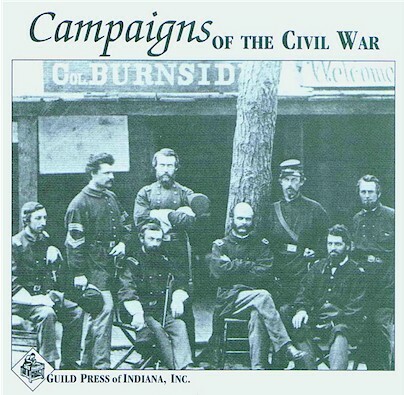 This is the most comprehensive single reference source for Civil War research, comprised of almost 200,000 pages of material, requiring a DVD-ROM to store the massive databases. 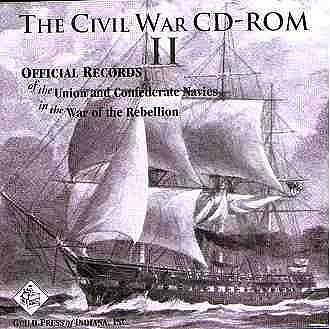 as well as the important and hard to find Medical and Surgical History of the War of the Rebellion - exclusive to the DVD-ROM. All of this content is divided into two large databases, one for Official Records (plus Dyers and Fox's), and the other for non-official records material. Each database can be searched with a single query. This provides, for instance, the very powerful capability to search the entire Army, Navy, map, and Medical/Surgical Official Records at one time. There is simply no faster and easier way to search the records. Requires 256 MB RAM, Windows 98 or above, and a DVD-ROM drive capable of reading modern DVD-R media. A $350 value for only $169.95! With our 30 day money-back return policy if you're not satisfied! Containing 30 volumes of the Navy Official Records from 1861 to 1865, including dispatches and reports of Naval engagements of both Confederate and Federal navies. (Windows only). Completed after the Army records, this ROM contains hundreds of scans of ships and various naval related hardware, as well as many maps. Although the focus is on Naval records, there are many reports from Army officers as well, such as Lee and Sherman. The Official Records arent complete without this ROM. 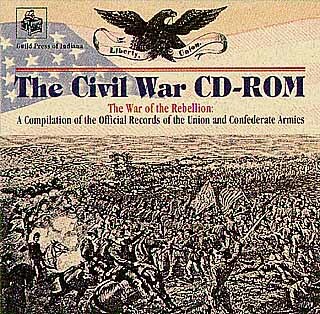 Note that The Civil War CD-ROM (above) contains the National Archives cross index which cross references the Army, Navy, and map Atlas (below). 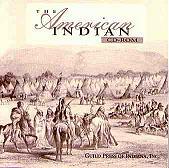 The most comprehensive research CD-ROM available on American Indian history. The only CD-ROM to our knowledge that contains the complete collection of Federal Treaties. American State Papers, Vol. 1, Documents, Legislative And Executive, Of The Congress Of The United States From The First Session Of The First To The Third Session Of The Thirteenth Congress, Inclusive; Commencing March 3, 1789, And Ending March 3, 1815. American State Papers, Vol. 2, Documents, Legislative And Executive, Of The Congress Of The United States, From The First Session Of The Fourteenth To The Second Session Of The Nineteenth Congress, Inclusive: Commencing December 4, 1815, And Ending March 3, 1827.